WELCOME TO MY MONEY MISSION ONLINE: FIRST DAY BACK TO SCHOOL MONDAY! FIRST DAY BACK TO SCHOOL MONDAY! THIS IS WHAT I WANTED TO DO! Well, today is the day that both kids go back to school, and although I am relieved that I made it through the summer, I am sort of dreading all of the manic activity that comes with the start of a new school year and all of the homework!! UGH! I don't know who hates it worse....me or the teens! HA! Little People Wealth Coupon Deals: "BHWSEWING." I went through Mr. Rebates, just as she suggested, and snagged this cute machine for ZERO $$! Now, that is MY kind of deal! Check it out for yourself!! 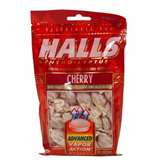 Then, when I was on the site spoofee.com, I was browsing through the Spoofee Forums : Discuss Coupons, Deals, and More > Deal Discussion > Freebies and Giveaways and found where you can get a bag of Halls cough drops for FREE just by filling out a short survey. After reading through the comments that people left, I finally figured out how to get to the survey and I was able to get my coupon for a FREE bag! Next, erase the "Jane" and put in your first name. Then, erase "Doe" and put in your last name. This is the name that will appear on the coupon after it is printed. Finally, erase the janedoe email address and put in your email address. Then, just hit enter. You will be taken to a survey site, and after completion of the survey, you will be able to print your coupon. It is now 6:12 AM, and time to see if my teen daughter is getting up....she usually gets up first, and hits the shower before her brother does. She takes soooo long to get ready! I hope the first day went well for everyone. thank you so much for the halls tip!!! it worked perfect!